"Eight of the last 10 renewals of the race have gone to the favourite on the day, while the two renewals that weren't won by the jolly went to the third favourite. 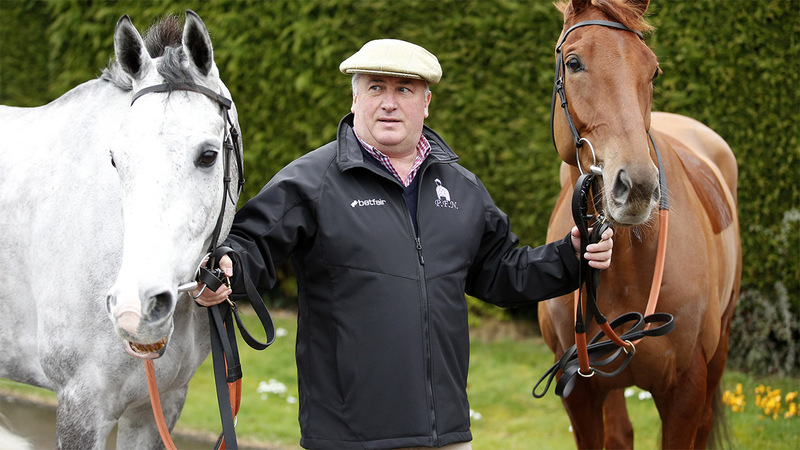 This is good news for ante-post favourite and last year's winner Waiting Patiently, but it also means that the two other runners prominent in the market - the Paul Nicholls pair of Politologue and Cyrname - shouldn't be readily dismissed." 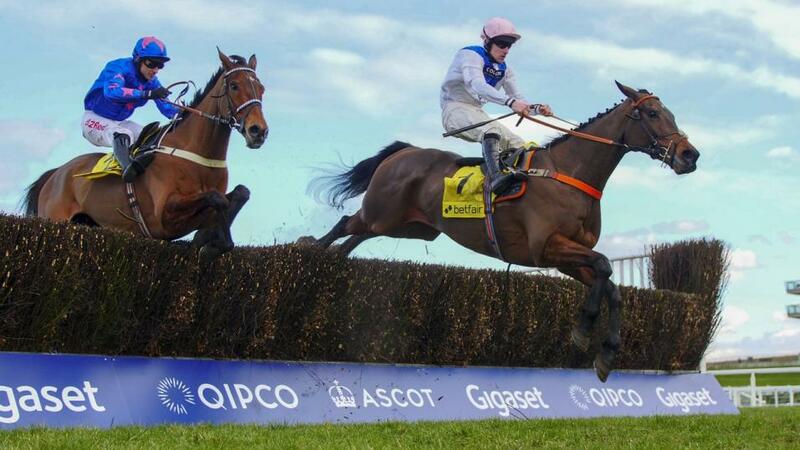 The Grade 1 Betfair Ascot Chase is a pivotal race in the National Hunt calendar that's not only prestigious in its own right, but is also a race that is run at the perfect time of the season for top-class chasers preparing to go to the Cheltenham Festival a month later. Previous Ascot Chase winners include the likes of Voy Por Ustedes (2009), Riverside Theatre (2012) and Cue Card (2013), all of which would go on to contest the Ryanair Chase at the Festival on their next outing, while Cue Card, who also won the race in 2017, and 2016 winner Silviniaco Conti (pictured below) became regular Cheltenham Gold Cup contenders. 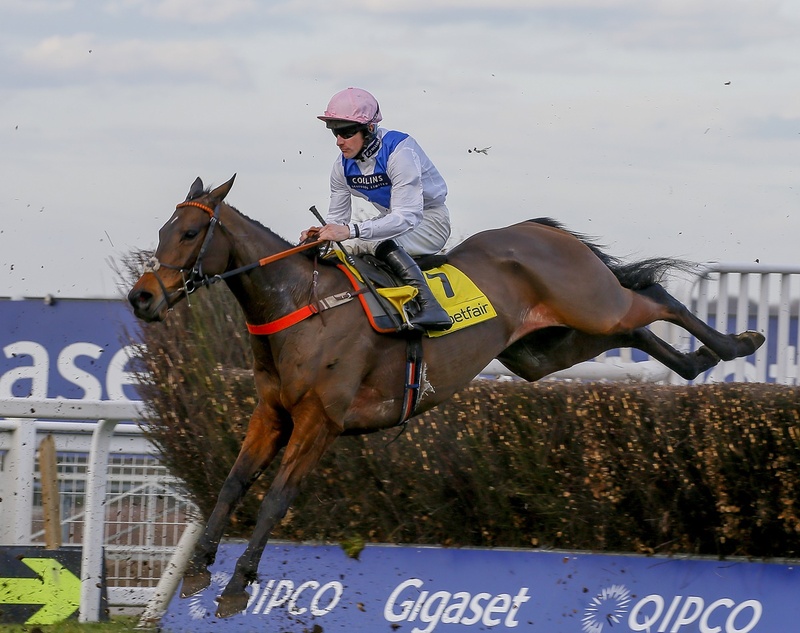 In stark contrast to the fiercely contested Betfair Hurdle, the Betfair Ascot Chase is usually a small-field race possessing high-class established chasers, and it's usually a contest that goes to the market leader. Eight of the last 10 renewals of the race have gone to the favourite on the day, while the two renewals that weren't won by the jolly went to the third favourite. This is good news for ante-post favourite and last year's winner Waiting Patiently, but it also means that the two other runners prominent in the market - the Paul Nicholls pair of Politologue and Cyrname - shouldn't be readily dismissed. However the race hasn't really been one for in-running drama in recent years. Balder Success traded at a high of just [7.8] before winning in 2015, and that's the highest price any winning horse has hit in the last 10 years. Captain Chris hit a low of just [1.5] in-running when beaten by Cue Card in 2013. It will come as no surprise that all of the last 10 winners of the Ascot Chase had already tasted success at Graded level over fences. In fact nine of the last 10 winners had won a Grade 1 contest prior to winning this race, the exception being last year's winner Waiting Patiently whose biggest success going into the race was a Grade 2 victory at Haydock, where he had Politologue a couple of lengths behind in second. A trio of trainers have won the race twice in the last 10 years; Nicky Henderson (Riverside Theatre, twice), Colin Tizzard (Cue Card, twice), and Alan King (Voy Por Ustedes and Balder Success). While four of the last 10 winners of the Ascot Chase have been seven-year-olds this isn't a race that necessarily goes to up-and-coming chasers. Quite the opposite has been true in some cases with the likes of 12-year-old Monet's Garden and 11-year-old Cue Card winning the race in the twilight of their career. Even victories for 10-year-olds Silviniaco Conti and Captain Chris were achieved with those horses already well established in the chasing ranks. Waiting Patiently is the most unexposed horse in this year's renewal among the leading contenders, while Janika will be the youngest horse in the race at just six-years-old should he take his chance, but seasoned campaigners such as nine-year-olds Fox Norton and Aso shouldn't be taken lightly. If there's one negative for Waiting Patiently then it's the fact that eight of the last 10 winners of the race have been won by horses whose previous run had been within the last 60 days. Officially Waiting Patiently did run within the last 60 days, however that run was in the King George where he came to grief at the ninth fence, the 10 or so furlongs covered that day being his only competitive action since winning this race 12 months ago.